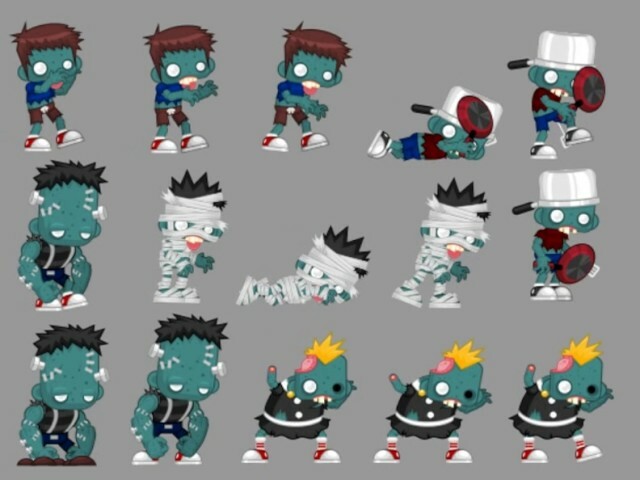 A collection of various character spritesheets for creating a 2D platformer or side-scroller game with a zombie, horror, Halloween, mystery, or ghost theme. Hi-resolution transparent .PNG sequence included for generating the spritesheet/texture atlas with your preferred tool (Texture Packer, ShoeBox, etc. ).